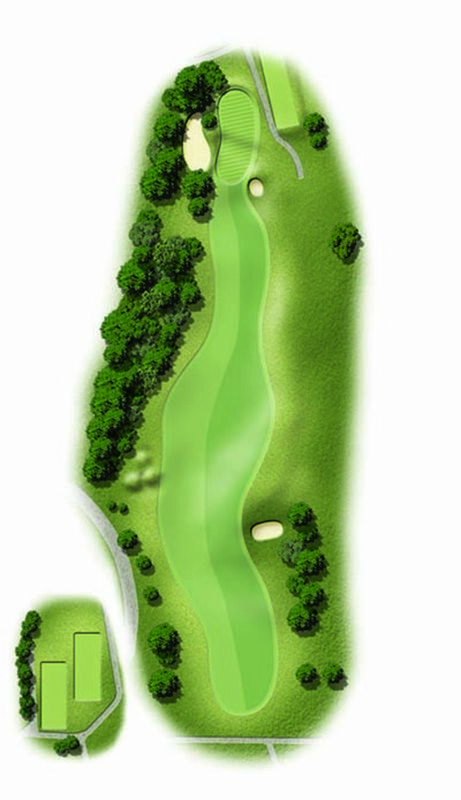 This is a really good example of a well-designed short par four. Ideally the tee shot will favour the right hand side, as the fairway runs from right to left. The approach to this green whilst not a long one is thought provoking. There is a tree just left of the green and a pot bunker to the right waiting to snaffle up any shot not perfectly struck to this compact target. Keep your mind and swing positive here!